The weather is finally turning up in our Chicagoland area! 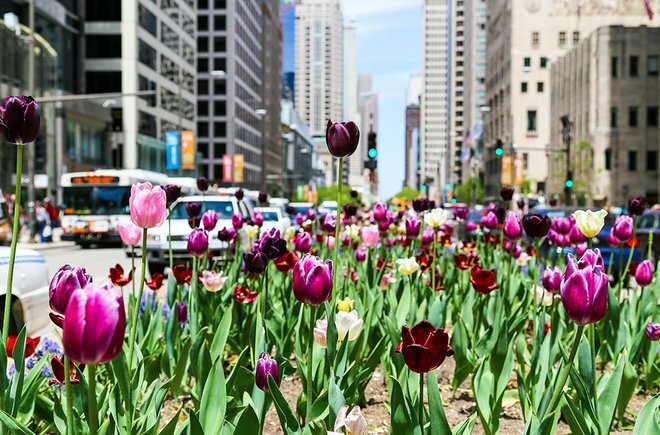 Naperville and Downers Grove suburbs will soon be full of bustling families and bright flowers. There is only one dreaded downside to the warmer weather…Spring Cleaning. Yes it’s time to shake off the winter gloom and bring your facility and home back to it’s shining glory. Here are some tips that can help both your facility and your home to be Pinpoint Clean for the beautiful warm weather months. One of the best ways to start is by making a schedule of where to start. In both a facility and a home, routine cleaning is most likely already being done. What areas are not part of the normal cleaning routine? What areas of the normal cleaning need an extra deep cleaning? Are you keeping up with the recommended services for the interior and exterior of your facility or home? Here are some areas in your Chicagoland facility or home you may need a little extra help with. If you aren’t on a routine window cleaning route, you may have gotten used to seeing all the winter snow and ice beating on your windows all winter long. Now that the sun is out and the ice melted, though, you are starting to see exactly what your windows have endured. They may be filled with water spots and have a film on them that can actually be robbing your interior of natural light. Additionally, it can look esthetically very unpleasing to the eye. 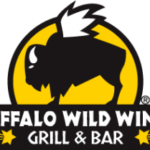 Make sure your windows are carefully cleaned on the inside and outside so you are not losing out on any natural light and on any wanted guests or customers frequenting your location. The Naperville and Downers Grove winters have been no easier on carpets this year. Moisture and debris assault carpets at higher quantities in the winter and get ground deeper into the carpet fibers as the result of stomping or wiping feet. This can be especially true of commercial facilities where customers are bringing the salt and snow from outside and grinding it into the carpet with their shoes. Having your carpets professionally cleaned will extract any dirt, debris, salt or moisture out of the carpet preventing it from causing further damage to the carpet fibers. Any salt stains will be forever gone…well until next winter of course. Deep carpet cleaning is an essential part of any facility or home’s spring cleaning. Pinpoint Maintenance uses both hot water extraction and encapsulation methods to make sure your carpet is getting the best clean possible. Tile and vinyl flooring is definitely good at resisting the moisture that inevitably builds up during the long winter months, but it unfortunately does not remain undamaged. Boots and shoes covered in snow and dirt can leave unwanted scuff marks, wear out the protective coating on your tile, and cause your grout lines to turn a dark color that is very far from the original grout color chosen. Tile that has texture to it can be especially susceptible to extra dirt build up from the debris getting lodged in the grooves and textured areas. Having your tile deep cleaned can remove any dirt lodged, will restore your grout to it’s original color, and will allow a new protective layer to be administered if needed to help keep unwanted dirt away. Tile cleaning is a great way to brighten up your commercial or residential area and the Pinpoint Maintenance team gives the best recommendation for each hard floor type. Last, but most definitely not least, is pressure washing. This is a huge and vitally important way to make sure the exterior of your facility and home is ready for the warm months. After moisture build up and lack of sun, many exteriors have a build up of green mold, mildew or dark stains left behind. This can leave your facility or home looking dirty without you having anything to do with it! 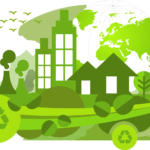 Pinpoint Maintenance uses eco friendly procedures to make sure we use the best temperature, pressure, and cleaning agent for each exterior type from store fronts, sidewalks, patios, siding, decks and more. 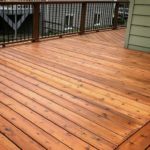 We also make sure to pressure wash and seal decks properly to prevent any damage to the wood. Some facilities or homes may be more susceptible to build up on the exterior due to which direction their home is facing and what areas get the least amount of sun. Pinpoint Maintenance can assess which areas need the most attention both on horizontal and vertical surfaces and work to get the most effective and cost efficient cleaning possible. 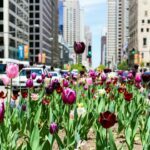 Whether you are in the bustling city of Chicago, or in the Chicagoland suburbs near Downers Grove or Naperville, Spring has definitely awakened in Illinois. Let Pinpoint Maintenance help you with your Spring cleaning this year. Whether it’s window cleaning, carpet cleaning, tile cleaning, or pressure washing, we have all your bases covered so you can spend more time on enjoying Spring and can spend less time on enduring cleaning.